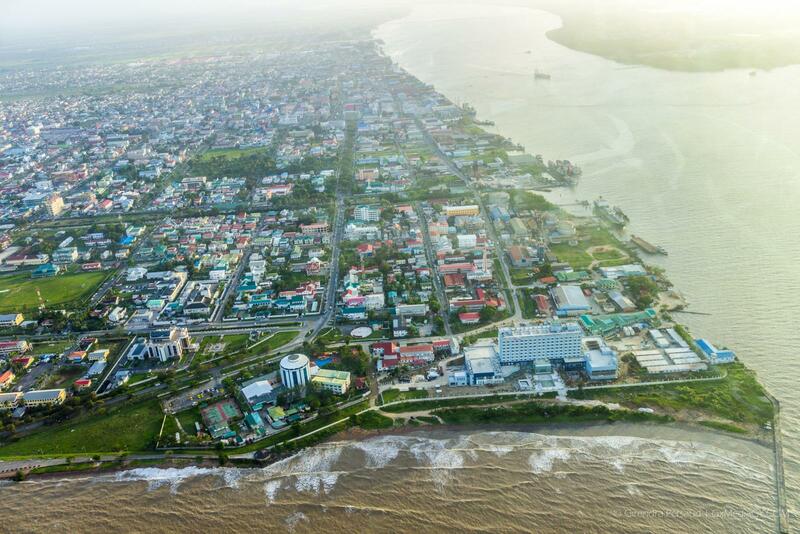 Mahdia was today, officially declared the tenth town in Guyana by President David Granger. The declaration ceremony was held today in the presence of several Ministers of Government, Regional representatives and Mayors. President David Granger and Minister of Communities, Ronald Bulkan unveil the plaque on the Mahdia Monument to officially declare the community a town. Looking on and applauding are (left) Minister of Social Protection, Amna Ally, Minister of State, Joseph Harmon; (right) Minister of Public Infrastructure David Patterson and Minister of Indigenous People’s Affairs Sydney Allicock. President David Granger bursts coconut as is the tradition as he declares Mahdia a town. A street in newly commissioned town of Mahdia. Mahdia now joins three other new townships; Bartica in Region Seven, Lethem in Region Nine and Mabaruma in Region One. It will serve as the capital town of the Potaro-Siparuni Region. It is the fulfilment of a larger vision of the Coalition government to establish a capital town in each of the administrative regions of the country. President Granger described the event as one of the most powerful economic reformers in the history of Mahdia. “These capital towns will become hubs for development. What you’ll see from now on is the development of the administrative regions. I have seen men and women who are committed to making something from their capital town so we’re moving forward with the creation of these townships,” President Granger underlined. He called for greater collaboration to ensure the ongoing development of the regions. Minister of Communities, Ronald Bulkan noted that though Mahdia’s township status arrived after Mabaruma, Bartica and Lethem, the government’s greatest investment was made here with the nearly $1 Billion spent in upgrades of the internal road network. Minister Bulkan added that much more is in store for the new town with the rebuilding of the Tumatumari hydro-electric plant that will provide reliable, continuous and affordable electricity to this part of the region. “The Coalition government is unapologetic about its pursuit of resuscitating the local government system because of our deep belief in the appropriateness of such a model given the divided nature of our society, and that it orders democratic governance and represents the best formula to realise better-managed communities,” Minister Bulkan explained. The Communities Minister indicated that the government is committed to working with the Toshaos of the Sub-regions Pakaraima, Campbelltown, Mickie; the Senior Councillor of Princeville; Regional Democratic Council members and all the residents of the region. In his remarks Minister of Public Infrastructure, David Patterson noted that his Ministry was challenged to ensure that its projects reflected aspects of both the green state agenda and the requirements of a modern new town. 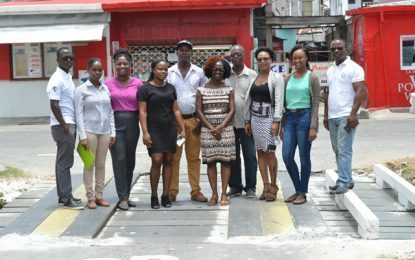 According to Minister Patterson, several bridges have been rehabilitated, a reinforced concrete rigid pavement with curbs, a network of reinforced concrete drains and culverts, complemented by road safety elements inclusive of road markings and signage have been installed. “The establishment of this township is important to Region Eight as it will become its main commercial hub, with links to the Kaieteur Falls and access to the wealthy gold and diamond mining lands and links the adjacent Indigenous communities,” Minister Patterson stated. He noted that these links are all a part of his ministry’s primary objective to improve overland connections between hinterland communities as one of the main drivers of economic growth and social wellbeing. Regional Chairman, Bonaventure Fredericks welcomed the much-needed township status and noted that for the first time, the residents will exercise their constitutional rights by participating in the Local Government elections on November 12. At the end of the historic event, the Mahdia Monument was unveiled. Mahdia’s earliest recorded settlement is in 1884. In the 1930s, with the construction of the Denham Suspension Bridge and improved road access to the area, Mahdia grew to an area of prominence within the then British colony.